Breitbart News Executive Chairman and former White House Chief Strategist Steve Bannon told the New York Times that President Trump will win re-election with 400 electoral votes, and weighed in on Republican Ed Gillespie’s failed Virginia gubernatorial campaign. 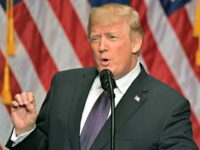 “He’s going to win re-election with 400 electoral votes and he’ll be considered in the pantheon of Reagan and Lincoln and others as great presidents, but you have to stick with the program,” he said in an interview with the Times. Bannon was reacting to Gillespie’s defeat Tuesday in Virginia to Democrat Ralph Northam. Gillespie, a former Bush aide and RNC chairman, had embraced Trump’s “America First” agenda late in his campaign but it wasn’t enough to make up his yawning polling deficit to Northam. While some analysts have claimed that the defeat was a rejection of Trump’s economic nationalist agenda, Bannon suggested it was instead that Gillespie was still too tied to the establishment. Bannon also noted that the defeat in Virginia came almost a year after Trump won the presidential election, which he said shows that implementing Trump’s agenda will have its ups and downs. 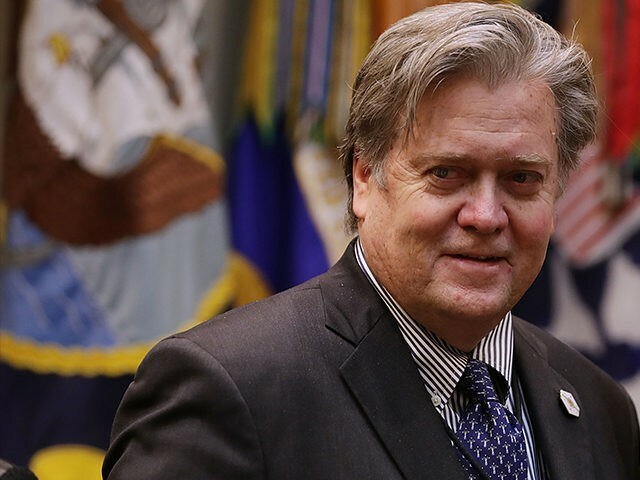 Bannon also responded to rumors that he was making deposing Senate Majority Leader Mitch McConnell (R-KY) his personal goal. “It’s not my personal mission but I have an objective that Mitch McConnell will not be majority leader and I believe it will be done before this time next year,” he said. The full interview will be published on Friday, according to the Times.